TVIntheDesert had the most liked content! While Full Measure had limited syndication outside of the Sinclair group (the only station outside the group I recall airing the program was KAZT in Phoenix to pair with a locally-produced show hosted by a local right-wing radio host, but they no longer air it), van Susteren's new show (now named Full Court Press) is being shopped around by an outside distributor. Two non-Gray markets (Chicago and Milwaukee...Weigel?) have signed on so far. Hearst has had better luck distributing Matter of Fact with Soledad O'Brien outside their owned station footprint, even though that program slightly leans left. The difference between TEGNA and RKO General was that RKO's stations were not really strong (WOR-TV and KHJ-TV were the third-ranked independents in New York and Los Angeles, respectively. KHJ could have been fourth behind KCOP). Maybe the years they were operating with the FTC and FCC as thorns on their side could have been why they never could be competitive. The Gannett group had some top-ranked stations at one time. I really thought that Scripps would end up with the Antenna TV diginet, given that Nexstar isn't into national platforms. But, given the news about KASW, I know where Court TV will end up once it launches. This is marked as a "Circle K commercial" (which is what it is), but at the :30 mark, there is a KTVK teaser from 1985 ("Eyewitness News" era) featuring weekend anchors (at the time) Frank Camacho and Heidi Foglesong. They were under the same ownership from the late '60s until 2015. Possibly the owner (A.J. Williams) took if off the air in the mid-'70s to build radio station KDWN 720 in Las Vegas, and I'm guessing the profits from that station were used to put KAIL back on the air. When they signed off their analog signal ten years ago, they were running a '60s-era GE transmitter. KAIL was under management turmoil throughout the '80s too (according the Broadcasting Magazine archives at americanradiohistory.com). Not a news station, just a very-low-budget intro to Fresno independent KAIL-53's movies. Notice the mailbox number stickers used for "53." The former owner of this station was notoriously cheap at his two radio stations and one TV station. I remember watching KTVZ back in ‘94 during a stay in Bend and finding it to be super small market quality. Two and a half decades make a difference! I would say it has happened twice in Phoenix in the past three decades. 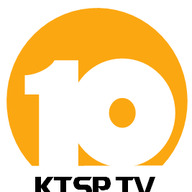 First, when KTVK brought in KTSP managers in the mid-‘80s to overtake KTSP and KPNX. 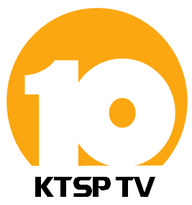 The second time after the dust settled with the New World/FOX changes and KPNX became the definite leader for a decade. Maybe KNXV can be used as an example this decade. They weren’t competitive in the market until four years ago. I was just making a comparison. Most of Cumulus' major-market radio stations are struggling (they weren't before their ownership). Most of TEGNA's major-market TV stations are struggling (many of them weren't before they became TEGNA). Cumulus happened. They're like the TEGNA of radio. I believe that is Bob Parsons' voice. Owned by GoDaddy founder Bob Parsons, and a part of his small conglomerate of companies (PXG golf clubs, Yamwood furniture, a Harley-Davidson dealership). Not to mention, run by ruiner of Scripps and TEGNA, Bob Sullivan. If Apollo does buy Cox, what happens to the national TV sales representation division? They've lost the Raycom stations when Gray decided to do everything in-house, and they're about to lose the Tribune stations when Nexstar takes over. Gray only has the NBC affiliate in Casper. The ABC, CBS, and FOX all have different licensees, but are commonly operated as the Wyomedia group - on a very shoestring budget. I have a feeling no one's making money in Casper. If KCWY wasn't profitable, then KTWO/KFNB/KGWC isn't either given the quality of their product. They allowed consolidation in the small, struggling market of Yuma/El Centro, but not in Wyoming.